You're reading an English translation of the original Czech page. Warren De La Rue, 1815-1889, a British astronomer, chemist and inventor, one of the first creators of a light bulb. In astronomy research he promoted photography, focused on day sun photography.. The first major work documenting the relationship between planet motion and solar activity is the work of Warren de la Rue, Balfour Stewart and Benjamin Loewy (1872). Based on Carrington observations of about 400 sunspot groups and another 400 groups documented at the Kew Observatory they have stated several rules for motion of the spots. Balfour Stewart, 1828-1887, Scottish Physicist, Head of the Kew Observatory. He dealt with radiation, especially radiant heat. From their surveys (which have started already in 1862-1866) the maximum spots adheres to the side of the sun that is opposite to the nearby planet. This is fulfilled reliably for Venus, with similar schemes apparent for Mercury - for Jupiter, the relationship was not reliably proven. (The aim was to develop a wider treatise, but it did not happen). Similar observations were made on a larger scale by M.Birkeland in 1899. Here are the first questions .... Is this expression gravitational, magnetic, electrical or other essence? Do nearby planets act on the sunspots so that they "just repel" them or they affect the overall solar activity (the activity of the entire Sun)? Magnetic fields of planets differ. The outer large (gaseous) planets have very strong magnetic fields: Jupiter and Saturn are approximately dipole, Uranus and Neptune fields are more complex. Even the Earth's magnetic field is considered to be relatively strong, it is approximately 100 times stronger than the magnetic field of Mercury. 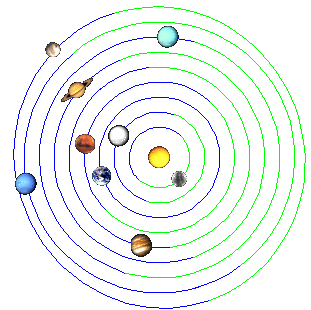 The fields of Venus and Mars are at the limit of measurability - for Venus it is caused by very slow rotation. As regards the observed repeling of the spots, it is therfore difficult to suspect Mercury and Venus of magnetic influence !? The Mercury-Venus conjunctions occur with an average period of approximately 144.57 days, with shorter intervals (126-131 days) and longer intervals (153-158 days) alternating frequently. For example, in 1989-1991 (Lm, Lv and Le are heliocentric longitudes). Earth meets Venus on average every 583.92 days = (V, E). E.g. in the years 1984-1994, the following days are Mercury and Venus (seen from Earth) hidden behind the Sun. There is a doubt ... Do the planets operate according to the De La Rue rule really just to one side of the Sun, or they can - as happens during tidal action - to affect both (opposite) sides of the Sun? In the first case, the MV - E configurations would have more spots towards the Earth (than in the opposite direction). Fernando Sanford, 1854-1948, American physicist. He dealt with Earth's electricity. The answer to the last question was dealt with by Fernando Sanford. He compared (for the period 1918 to 1932) the visibility of the spots with the frequency of the conjunctive cycles of Venus and Earth. Observed (in the 14-year period) the most spots (on average 714). at the time of opposition V-E and on the contrary least spots (405) at the VE conjunctions. Sanford's observation was later reviewed - for a longer period (ca. 1875-1975) and including Mercury - by a trio of Czech scientists: Kopecký, Link, Mayer. They confirmed that the number of spots between the oppositions and the conjunctions of planets differs significantly, the planets have (when working together) a negative effect on the spots. Annie Rusell Maunder , 1868-1947, a Edward Walter Maunder , 1851–1928, couple known for their contributions to observing the Sun and its activity..
At the turn of the century, the Earth also entered the game (started by De La Rue in 1872). Mathematician Annie R.Maunder succeeded in establishing (1906-1907) similar rules for the Earth as previously observed for Venus and Mercury. Even the Earth has a negative effect on spots - the number and size of spots diminishes on the visible hemisphere. This result was subsequently confirmed by other researchers - Robert John Pocock supported Maunder's claim based on his observations from 1902-1917. The Earth differs from the Mercury and Venus in one thing - it is also an object, from which we observe these phenomena. We see some things from the Earth distorted and so there doubts appeared. In 1932, Dutch astronomers Marcel Minnaert (1893-1970) and A.J.M.Wanders showed that a larger number of spots originating in the Eastern Hemisphere of the Sun (ie further from the actual conjunction with the Earth) can be only apparent. The phenomenon was later analyzed in detail by Czech scientist Link. He showed, that the asymmetry of the visibility curve described by Minnaerth is in the center of the solar disk negligible, but the number of extinct spots here is still larger than the number of defects. He confirmed that Maunder's conclusions were correct. Solar day on Venus is 1.5 multiple of solar day on Mercury. (To keep periods exactly in this ratio some small changes are necessary, e.g. to shorten mean rotational period of Mercury by 2 hours). The period with which Venus meets Earth, 583.92 days = (V, E) fits approximately to the sequence with which Venus meets Mercury, 144.57 days = (M, V). Four cycles 4 * 144.57 days give 578.26 days. In the view of the Earth, we see this situation differently: The Earth meets Mercury on average every 115.8775 days = (M, E), and five of these cycles are 579.3875 days. On the other hand, the fifth of the Venus-Earth cycle is (V, E) / 5 = 116.7840 days. ratio (V,E) / (M,E) / 5 = 583.9214/ 115.8775 / 5  = 1.00783 (<1%). The period (V, E) is approximately followed by the asteroid Toro (T_orbit = 1.6 years, T_libration 150 years). In perihelion - Toro is close to the Venus orbit, in aphel - is behind orbit of Mars. The beats (M, E) with (V, E) / 5 are about 40.87 years. 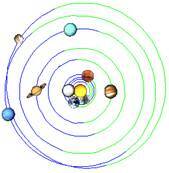 So-called Chandler's Earth magnetic pole movement also follows approximately 40 years period. For 40 years, Mercury turns around 255 times. Zdeněk Kopal, 1914-1993, Czech astronomer, astrophysicist and mathematician. He dealt with variable binary stars, the moon and the inner planets of our system. He pointed to the tied rotation of Venus. 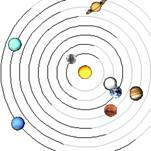 In the Solar System we find many ratios close to the ratios of small integers. Such cases usually mean either a random phenomenon or resonance. The fact that the resonance ratio is not realized precisely is then usually the work of other contexts - change in the orbit of bodies, motion of perihelions, inclination of tracks, etc. This relationship is written in the form of resonance 1/Vr-5/E+4/V = 0. The influence of Mercury is sometimes neglected, because its duration is very short in comparison with the solar cycle length (K.D.Wood). The influence of Mercury was dealt with in detail by Bollinger (1960). E.K.Bigg explored (1968) the statistical reflection of Mercury's motion in solar activity data (observing the speed of tidal force change) and showed that Mercury's influence in the data of solar activity appears (and depends on the phases of Venus, Earth and Jupiter). The action of planets is the trigger of the main cause of activity. (G.A.J.Ferris). Carl-Gustaf Arvid Rossby, 1898-1957, American meteorologist of Swedish origin. He explained the movements in the atmosphere by means of fluid mechanics. He described the jet air flow along the parallels on the Earth in the direction of rotation and later - in collaboration with the German scientist Hans Ertel (1904-1971) - the so-called Rossby Waves. Venus day (116,769 days) and Mercury (175,937 days) are in the ratio of 2: 3, the day on Mercury is twice its period (87,969 days). Roosby's waves are waves in the atmospheres and oceans on the planets. It is related to rotation of planets and significantly affect climatic phenomena. Recent research has shown that similar waves can be observed in the sun. I.R. Edmonds (2015) observed the reflection of 88 daily and 176-day periods in data of solar activity. He shows that some Roosby waves can be described by simplified formula T (q) = 25.1 q / 2 [days], where 25.1 days is the equatorial period of the photosphere on the Sun. For q = 7, T (q) = 87.85 days and for q = 14 T (q) = 175.7 days. The influence of Mercury was observed only for non-overlapping (discrete) parts of the cycle (episodes). The exact phasing of the influence of Mercury with the phenomena on the Sun could not be confirmed. 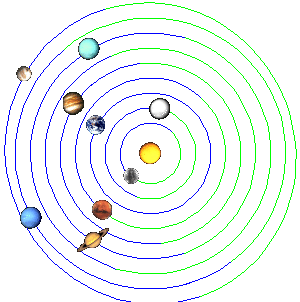 The tidal action of planets on the Sun is proportional to m/r^3, where m is the mass and r distance of the planet from the Sun. Only the first 4 bodies in the table are considered to be significant, the influence of others is usually neglected. Considerations on the interaction of planets are often reduced to the conjunctions of Jupiter with Venus in opposition to Earth or the conjunction of Jupiter with Earth is in opposition to Venus. Bendandi (1931) observed that the tides of Venus, Earth and Jupiter create oscillations with a period of 11.07 years. Karl Dawson Wood, 1898-1995, an American engineer, a specialist in applied aerospace, thermodynamics and rocket control. He also dealt with aerodynamics - design of aircraft and spacecraft. He showed that alignment of planets J-V-E with the sun (with a period of 11.07 years) proceed synchronously with the solar cycle over the 1500 years covered by data of Justin D.Schove. Doubts about the possibilities of tidal power led to new theories. 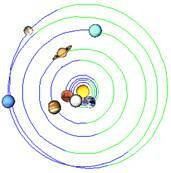 The authors prove that the inner planets act on the Sun with comparable forces to the forces of outer planets and that tidal fluctuations can greatly affect the acceleration and "jerk" (indicator of change of the acceleration ) of the Sun. 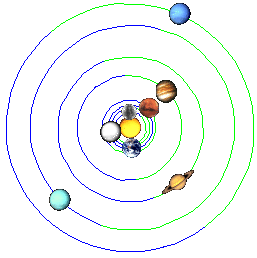 R.M.Wood and K.D.Wood created (1965) a dynamic model (for all planets except Mars and Pluto). From the average period of bodies they derived a period of 11.08 years. According to C. J. Bollinger (1967), the tidal action of the planets Mercury, Venus, Earth on the Sun influences changes in winter temperatures on Earth. He deducted periods of 11.19 years and 111.9 years. Takahashi (1967) examined the influence of the second power of tidal power. Then (1968) he pointed out that rapid changes in tidal power ("jerk") are the result of a sequence of (multiple) or sharp drops in quadratures of (tidal) planets. K.D.Wood then (1972) has documented that so-called "tidal fluctuations" correlate with the occurrence of sunspots. According to the theory of N.Scafetta (2012), the Sun can amplify tidal power by nuclear fusion. P.Kalenda (2018) considers tides as an auxiliary mechanism for transmission of rotational moments. He tried to express the total effect of tides using gravitational "dipoles". Robert M. Wood , -, American projects manager in aviation engineering. He dealt (together with his son) with problems of UFO and with hypotheses about extraterrestrial civilizations. Compared the periods of solar activity with the synodic periods of planetary motion. To assess the correlation we compare the extremes of the planets Jupiter, Venus and Earth to the actual observed cycles of activity. Among all the differences, the extremes between 1770 and 1800 seem to be the most critical. The J-V-E alignment occurred in 1771.0, 1779.8, 1791.8 while extremes of activity were observed in 1769.7, 1778.4, 1788.1. Here, for example, difference 1791.8-1788.1 = 3.7 years, ie more than 2 conjunctive loops of Venus-Earth. We conclude that the coincidence of solar activity cycles with V-E-J conjunctions is just random. It is only a match of periods and a seeming synchronization. Sub-alignments (for example, Venus-Jupiter, Venus-Earth) occur more often than the extremes of activity. In some cases, such as 1958,1960,1962, we could try to explain this by multiple maxima of activity ... But number of "potential maxima" is greater than can have some reflection on the Sun...! For the above reasons, ideas have come to integrate tidal influence. Jean-Pierre Desmoulins (1989-1995) has attempted to calculate and display the graph of the summary impact of tides. See Jean-Pierre Desmoulins. The period of cycles appears to correspond in the long run to the period of solar cycles, but the amplitude of cycles stagnates at approximately the same level. Another idea is that the tiles act depending on the orientation in space (e.g., relative to the barycentre). But attempts to find a mechanism that would preserve the "good" cases and correct the "bad", failed. Artur Schuster, 1851-1934, a British physicist of German origin, engaged in radiation (optics, spectroscopy, radiography) and applications of harmonic analysis in physics. He developed the technique of periodograms to reveal frequencies in time series and applied it to the earthquakes and solar activity. The solar cycle has been from the beginning of observation - due to its period not too distant from the period of Jupiter - associated with the influence of Jupiter - Rudolf Wolf, R.C.Carrington (1859). F.B.Edmonds (The Sun-Spot Period, 1882) suggested (based on observation of activity in 1766-1799), that periodicity of creation of spots is related to the location of the planets Jupiter, Venus and Earth. Artur Schuster (1911) confirmed, that the relationship between the appearance of the spots and the position of Jupiter is indeed nonrandom. Based on daily photos of spots from 1874-1909 he deduced, that Jupiter (as well as Venus and Mercury) also affects existence of spots. The distance of Jupiter from the Sun varies depending on the third power of the ratio (1+eps)/(1-eps) which is 1.337. The tides in Jupiter perihelion are about one third bigger than in aphelion ... see above K.D.Wood: (2.28 + 0.32)/(2.28 - 0.32) = 1.326. Tidal peaks therefore concentrate around Jupiter perihelion. The conjunctions of Venus-Jupiter advance (unlike the above described MV-E conjunctions) - thanks to Venus' almost circular trajectory - with great regularity. The spacing is about 236-239 days. The average conjunction period (V, J) = 236.9919 days = 2 * 118.496 days coincides with periods 116.769 days, ie (V, Vr) and 115.8775 days, ie (M, E) (error<2.5%). Arthur Gordon Webster , 1863-1923, American physicist. The influence of the planets on the creation of sunspots was dealt with in several works (1930-1947) by W.A.Luby. 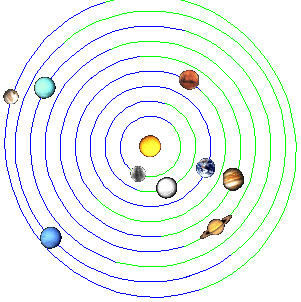 According to his theory, the power action of planets on the Sun intersects with the rotation of the Sun, causing a "precession". The size of the precession counts according to the formula in Webster's book "Dynamics ...", the function decreases with the third power of distance. William Arthur Luby , 1872-1947, American mathematician of Irish descent. He focused on algebra and geometry, and he liked astronomy. W.A.Luby considers the influence of the planets Mercury, Venus, Earth, Jupiter, and Saturn. 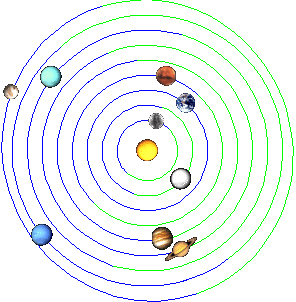 For each planet it assumes 2 maxima and 2 minima effects, the effects is solved graphically. He notices the operation of Jupiter and Saturn (conjunctions, quadratures). He deduce the period is 112.5 days, 11.2 years and 22.5 years from Venus, Earth and Jupiter. Paul D. Jose, a scientist active in Aerospace Research, known for his observation of motion of the sun around the barycentre. His work inspired many other scientists. The positions of the external planets of the solar system are repeated with a period of about 180 years, more precisely about 178.7 years (Jose 1965). This period is one of many possible approximations of common synodic multiples of period of outer planets. R.M. Wood's (1975) compared the synodic periods of the planets with solar activity periods. Jupiter and Saturn make in conjunction with Uranus a period of about 139.0 years = 7 * (J, S), in conjunction with Neptune, about 218.5 years = 11 * (J, S). The period 178.7 years = 9 * (J, S) makes three loops with a return to a similar configuration (Gary J. Morris, 1997). An analysis of the synodic periods of the outer planets comes with two basic cycles: A = 178.95 (177.50-181.00) and B = 317.75 (317.45- 319.55), followed by their linear combinations (2A, A + B, 3A, 2A + B, 3A + B, ...) (357.90, 498.50, 536.85, 677.45, 856.40, ...). The period of about 500 years is supported by the synodic period (Neptune, Pluto), 676 years is the Mayan period of 13 calendar rounds (13*52 years, "oxalajuj tiku") and 855 years is twice the Babylonian period (427 years). In a number of periods over a thousand years, the Mayan refer periods 2582 years and 5125 years. Fairly accurate is the period c.2224.10 years (double the G.L.Siscoe period, 1020-1030 years), and c.2403.05 years (the period observed by I.Charvátová) and especially their sum of 4627.15 years. However, we can never find any reliable pattern (J. Čech, 2007). The new patterns emerge similarly when moving to a higher resolution level like higher numbers in chain fragments ... This pitfall recalls the introduction of a 12-tone system in music. In both cases it is a good approximation to real-world relationships with a simplest system (180 years < 4627 years, 12 tones < 53 tones, etc.). Theodor Landcheidt , 1927-2004, German (amateur) climatologist. He dealt with the analysis and the possibility of predicting various natural phenomena - extremes of solar activity, occurences of El-Niño, etc. Some theories derive solar activity from changes in angular momentum of (outer) planets. 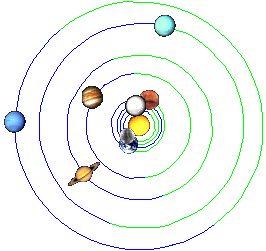 The maximum moment is at the time of conjunction of planets (the center of gravity is shifted from the Sun to the planets) The minimum moment is at the time of the opposition (the center of gravity is near the center of the Sun). In both cases, the torque change is minimal and therefore a minimum activity is expected. 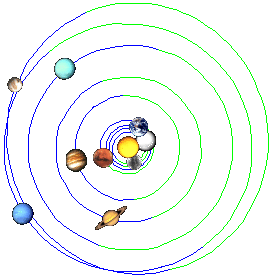 The maximum activity should be about 60º at the distance of the planets, ie 2 maxima per 1 minimum!? (According to these assumptions, the minimum activity would also be around the year 1992 - which did not occur). P.D.Jose (1964, 1965) observed the rate of change in the angular momentum of the sun and deflection of the Sun by the planets Jupiter and Saturn with respect to the barycentre. According to Theodor Landcheidt (1983), the "torque" changes are the changes T = dL/dt of angular momentum (torque) L and "impulses of torque" (IOT) changes d2L/d2t. In 1988, he found an IOT signal in the time series of solar rotations (Mt.Wilson). James Shirley , American scientist (NASA, Jet Propulsion Laboratory), co-author of the Encyclopedia of Planetary Sciences. He pointed to a certain correlation of the occurrence of the earthquakes, the solar cycle and the moon's motion. J. Shirley (1990) analyzed in detail instrumentally acquired data of solar radiation intensities of different frequencies. He deduced that the data do not contradict the results of previous observations (De La Rue, Stewart a Loewy (1872), Schuster (1911) or Bigg (1967),...). J. Shirley confirmed there are frequencies in the solar spectrum that could be induced by planets - such as the impact of Mercury and Venus, the simultaneous action of the Earth and the outer planets, However, he distinguishes the impulses (IOT, d2L / d2t) and tidal forces. He ruled out that the observed manifestations on the Sun could be part of the tidal forces. The speed of change in solar acceleration was examined by K.D. Wood and R. M. Wood (1965). If we focus on the influence of the outer planets than there is (despite the variation in extremes, about 15-22 years) behind everything still period (J, S) ~ 19.86 years. Observation of the acceleration of the Sun caused by the outer planets does not seem to lead directly to the 11-year cycle seen in solar activity. The speed and acceleration cycles correlated with Solar activity can be derived only in combination with inner planets. A critical analysis of the different types of forces and derived accelerations is in the work of the authors D.K.Callebaut, C de Jager and S.Duhau (2012). Theodor Landscheidt . pointed out that there are some differences in solar activity in the direction of the Sun to the barycentre and in the direction of the barycentre. Theodor Landcheidt (1976) observed the relative position of the Sun, Jupiter and the center of gravity of the solar system (barycentre). He compared the direction of the solar storms in 1951-1956 and deduced that their larger part (about 2/3) takes place in the direction of the barycentre. A similar principle (combined with tidal theory) examined (independently of T. Landscheidt) also Czech geophysicist Pavel Kalenda. Ivanka (Jakubcová) Charvátová , 1941, Czech geophysicist, focuses on the movement of the Sun, its relation to solar activity and its impact on climate phenomena on the Earth. Alexandre Dauvillier - French scientist associated higher solar activity with a greater distance of the sun from the barycentre.. According to her theory - solar activity decreases at times when the ordered (harmonic) movement of planets Jupiter and Saturn is disturbed by other bodies. Because the greatest known disorders are caused by the outer planets of Uranus and Neptune, we deduce, that solar activity decreases at the moment of their conjunction (chaotic periods). So far, it is consistent with classical moments of momentum theory. On the contrary, during ordered (harmonic) periods - with short 10-year cycles (ie in the wider neighborhood of oppositions U-N: 1051, 1222, 1393, 1565, 1736, 1908,... is Jupiter at perihelion during solar peaks (that is, the Sun-J center of gravity is closer to the Sun). The possible connection between the Uranus-Neptune conjunctions and the long-term minima of solar activity was demonstrated also by Geoff J. Sharp (2013). "Deification" of the 180-year period gradually met with criticism and new methods of solar spectrum analysis. Already in 1973 T.W.Cole derived a period of 190 years. Similar results have been made in recent years by several other scientists - Richards (2009), J. E. Solheim (2013). S.K.Solanski (2004-2005) reconstructed solar activity 11,000 years back. 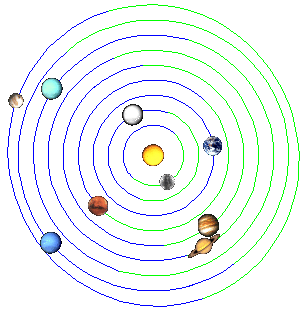 The definition of the "quadrature" of two bodies (similarly to the definition of conjunction and opposition) differs in geocentric and heliocentric astronomy. 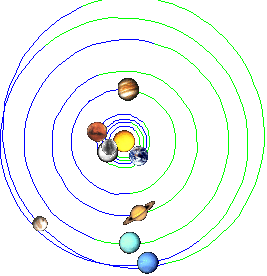 We will hold the heliocentric view and understand as the quadrature of two bodies the moment when the angle of Planet1-Sun-Planet2 is right, ie when the difference (heliocentric) of the planets is 90 degrees. 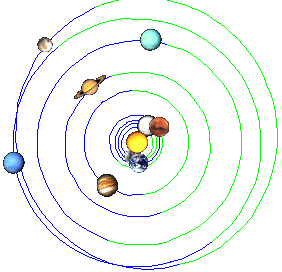 We see that the Uranus and Neptune planets have a right angle. At the same time, these positions are preceded (in advance of 1-2 years) even by the quadratures of the planets Jupiter and Saturn (1778.4-1777.4 = 1.0 years, 1947.50-1946.47 = 1.03 years, 1957.90-1956.17 = 1.73 years). Five of the ten largest sunspots in 1874-2014 were observed in 1946-1951. (The positions of 1778 and 1957 are similar, covering a 178-180-year cycle of outer planet positions). But the thing is not so simple. The highest extreme of solar activity in the last millennium (according to the values of Justin D.Schove) occurred in 1372. 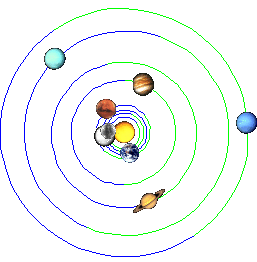 The angles of the observed planetary pairs (Jupiter-Saturn, Uranus-Neptune) are here quite precisely 120 degrees !? John H. Nelson , 1903-1984, American radio wave propagation analyst. He described some correlations between planetary positions and disturbation of radio signal and managed to predict some extremes of it. Due to the nature of the research, he was criticized by the scientific community. His work was recognized by astrologers, though he did not belong to them. John H. Nelson watched the conjunctions and quadratures of the planets in connection with radio transmission of signals and the occurrence of solar radio storms. He discovered (1951) greater interference of the radio signal at times when angles included by some planets were multiples of 90 degrees (aspects 0, 90 and 180 degrees). Interference at these times may have been caused by an increase in solar activity. But Nelson did not claim that the planets controlled the processes on the Sun - he "only" tried to prove he was capable to predict magnetic disturbances, and to change radio frequencies so that they do not happen to interrupt signal transmission. Two planets are "in a cross" when they are in conjunction, opposition or quadrature..
Two planets are "in compliance" when they include an angle of 120 degrees (multiples of 60 degrees). Cross Jupiter-Saturn and cross of Mars with Jupiter or Saturn. Cross of Venus, Mercury or the Earth with Jupiter, Saturn or Mars. 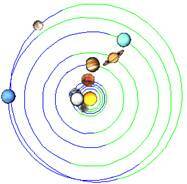 Some of the inner planets are near Jupiter or Saturn in the cross. Nelson pointed to the drop of interference at the beginning of 1948 with an angle (J-S) of 120 degrees. In connection with the planetary layout of 23.02.1956 (PJE # SRM-V) Nelson also became interested in Pluto.. The Nelson's method was later adopted by J.H. Clark and expanded - besides Pluto - also to Uranus and Neptune. However, the extremes mentioned in the previous paragraphs do not seem to fit into Nelson's scheme: maximum r.1372 and maximum end of 1957. In these cases, "compliance" (angles of 120 dg) should lead to lower activity, but on the contrary, the activity is extreme !? P.R.Romančuk (University of Kiev) compiled in the 1960s of the last century - for the purpose of forecasting of solar activity - a function to which entered the longitudes of the planets and also their differences. Hence activity was decided by mutual position of the planets (conjunctions, quadratures, ...). 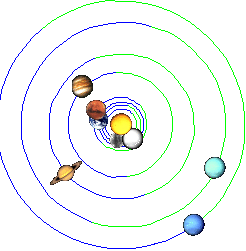 He constructed a special empirical "function of action" the calculations included Jupiter, Saturn, Venus and Earth. Romanchuk's functions were not hereafter used, because their calculation was quite demanding, but the forecasts did not achieve greater accuracy than other (statistical) methods..
J.B.Blizzard (1965) observed the rate of change in tidal power (for particle events on the Sun) and the resonance sequence of planetary conjunctions. Subsequently, in the extensive treatise (1968) on solar eruptions and proton phenomena, he has attempted to prove that they are preceded by conjunctions of the planets. Planet Mars seems to be completely meaningless by its size, but it appears in time of solar maxima and proton events in conjunction with Jupiter more often, than would be expected from an accidental distribution. 1.9.1859, 28.9.1870, 10.9.1908, 9.8.1917, 7.3.1942, 25.7.1946, 4.5.1960, 28.1.1967, 10.4.1969. Regarding the small period of conjunctions R-J and the fact, that 5*(R,J) = 5*2.235 years = 11.18 years ~ W, it still may be only random phenomenon. But also for example large sunnspots (M.A.Ellison), of years 1946 and 1951, follow each other at interval of 2 conjunctions Mars-Jupiter. H.T.Mörth (United Kingdom) and L.Schlamminger (Germany) published in 1979 (in collection Solar-Terrestrial Influences on Weather an Climate) article PLANETARY MOTION, SUNSPOT AND CLIMATE. According to their observations, the largest amplitude of solar activity correlate with 90 ° longitudinal angles. Their function is based on a combination of pairwise external conjunctions planets, especially Jupiter-Saturn and Uranus-Neptune. It is written here: „The long period peak amplitude variation appears to be associated with the angular separation of Uranus and Neptune, greatest amplitudes at angular separation 90°, smallest amplitudes near conjunction and opposition“. They provide graph of function |Ln-Lu| + |Ls-Lj| (where Lx are "adjusted" heliocentric longitudes of planets) for period 1750-2000, that cover progress of solar activity – e.g. estimated maxima from the graph are around years 1780,1840,1870,1960. Based on these assumptions they derive cycle ((J,S),(U,N)) = 22.46 years. The adjustment of longitudes is based on: L = L-90 for 90 < L ≤ 180 degrees!? But Mörth-Schlamminger period 22.46 years, respectively. 11.23 years seems to be too long. In the long run, it does not fit into Schove's extremes, the functions are diverging with the course solar activities. Regularity after several centuries (for example, before 1540 and after 1950) ceases to exist (or overflows to the opposite polarity). Some deviation also occurs around year 1780. Contrary to real activity, the theory is also in 1989-1990. Four of the ten largest spots of 1874-2014 appeared in 1988-1990. At the same time, this marked activity peak occurred when aligning (known) outer planets into one line! Ian R.G. Wilson , [vilzn], Australian astrophysicist and climatologist, author of several treatises on the "quadrature effect" - in motion outer and inner planets. He also deals with long-term cycles of solar activity, with the Moon, and so on. Jozsef Garai (2009) distinguishes regular and irregular cycles, regular are those that proceed with the specified period given by syzygies (conjunctions and oppositions) of Jupiter and Saturn. Periods with irregular cycles will be called "transitional". Transitional periods are also referred to as periods of "phase collapse" or "phase catastrophe" (Wilson, 200?). for J-S eg 1778, 1837, 1958, for U-N, 1778, 1947, 1958.
for J-S eg 1727, 1947, for U-N 1870. The high extremes of solar activity between 1727 and 1837 are closely preceded by quadratures of Jupiter-Saturn (1727.50-1727.39 = 0.11 years, 1837.20-1836.99 = 0.21 years). Gnevyshev, M.N.,  1914-1992, Russian scientist, founder and director of Kislovodsky Sun Station of the central astronomical observatory. Significantly affected the development of solar physics in the second half of the 20th century. His scientific work also intervenes into medicine, studying, for example connections of solar activity, geomagnetism and the incidence of myocardial infarction. Wolf's 11-year period is based on long-term averages. However, in some periods, activities with a significantly lower period are taking place. in the period 1905-1958 the process of extremes of activity corresponds quadrature procedure - 5 cycles gives (measured between maxima) an average of 5x10.18 years, quadrature covers 5x10.04 years. There are indications(the Gnevysev-Ohl rule) that an extreme around 1797 is missing (see below). At Maunder's minimum, long cycles (up to 14 years) are expected. However, if it appears that some of the maximum is also missing here (eg y.1669), it would reduce the average period to under 10.5 years ...!? Not quite clear is the situation of approx. 80 years after 1796, around 1877 - there is no violation of the Gnevysev-Ohl rule, but the length of the cycle between maxima of 1870.6-1883.9 is almost 14 years. Usoskin, Ilya, physicist working in Finland. Author of a long series of scientific publications in the field of solar physics and physics of cosmic radiation. It seems like maximum of the year 1796 in data of solar activity „drops out“?! Note the same sign in cycles 4-5 a 11-12. Regular change of cycle signs is known as the "Gnevysev-Ohl Rule". It was proposed to reduce the cycle numbers from 1,2,3 to 0,1,2 and add the missing cycle number 3. The year 1795 was also identified as the beginning of 80-year secular cycle (in work of H.C.Willett). See Gleissberg's 80-90-year cycles. And the cycle 699-714 (i.e. distance of extremes, similarly to 1788-1805) was also (in the series of extremes according to J.Schove) relatively long! The maxima of cycles are lagging here the quadratures on average by about 1.27 years. But we chose periods the strictest pairing. Including other regular cycles we get greater average delays (for the period 1600-2000, about 1.7-1.8 years). A typical example of an average distance would therefore be maximum 1957.90, which is behind the 1956.17 quadrature by 1957.90-1956.17 = 1.73 years. Given the average length (J, S) = 19.86 years it is 31 degrees. Thus, at the peak of activity, the Jupiter-Saturn angle is on average rather at 60 or 120 degrees. So Nelson's theory is not still out of the game !? Observations so far may be random. We need to know if there are some angles of Jupiter-Saturn in extremes of activity really more significant or not. In the "J-S" column we will give the exact angle, in the column "Angle" this is rounded to a 30 degree raster. The column "Factor" has value = Angle / 30. Factor 9-11 corresponds to angles 270-330 degrees, factor 4-5 angles 120-150 degrees. Therefore, the maxima occur at 120 dg and 300 dg much more often than at 240 dg. Similar observations for minima give 30 dg and 210 dg. Extremes occur in quadratures that are delayed - about time of the interval for which the J-S take 30 dg. For a longer period of 0-2000 years of Schove's data, there are some shifts, but their origin could not be identified. These are the so-called "collapses of the cycle phase" (loses of phase lock, phase catastrophes). If all sun peaks are inclined to quadrature, (which appear on average with a 10-year period) the overall course would not match the observed (11-years) Wolf cycles. The shift occurs in transition periods. (1856.94-1707.65)/7 = 21.35 years, (1860.1-1705.5)/7 =22.09 years. Quadrature J#S of the year 1857 adds to this, two years after the minimum 1855 - here also near the quadrature U#N (Uranus-Neptune)!? P(W,Q) = k* Q + Q/2 = k * 2*W, from which k = (Q/2) / (2*W-Q). For Q = 19.86 years and W = 11.05 years it results: k = 19.86/2/2.24 = 4.433, ie. k*2*W = 4.433 * 2 * 11.05 years = 2 * 48.98 years = c. 98 years. (Therefore k * Q = 4.433 * 19.86 = 88.04 years = cca 8 W = cca 98 years - 9.93 years). The distance with which one type of quadrature passes in the other is about 98 years, which corresponds approximately to the period of the Gleissberg cycle, respectively. rather its possible higher limit. According to the relationships above, the quadrature modulation period could be longer. This would explain the observed mismatch with the Uranus-Neptune cycle ((U, N)/2 is about 85.5 years - see above Mörth-Schlamminger). The observed 2P periods corresponds to the modulation periods M = ((J,S), 2W), ie. 2P=M. Silvia Duhau , argentine researcher in the field of solar activity and climate change. She deals with the theory of the solar dynamo. S.Duhau and C.Y.Chen observed 2 periods of increase in solar cycle intensity (lasting about 35 years) near years 1705 and 1923. The interval of these periods is 218 years. Lunar cycles of 8.85 years and 18.6 years are in the same phase every 186 years: 11 * (8.85, 18.6) = 186 years = 2 * 93 years (Louis M. Thompson, 1988). Transitional periods are given approximately by the years 1685, 1793, 1877. The last period (estimated to 2018?) seems to be delayed (compared to the estimated 90-100 years). Ernest William Brown, 1866-1938, English mathematician and astronomer living in America. Is known for his theory of moon movement. He dealt with the celestial mechanics, elaborated detailed lunar tables. Considering Jupiter's influences there is - according to E.W.Brown (1900) - necessary to add primarily influences of Saturn and then secondary influences of smaller bodies (noticing the 4-year periods in their mutual movement). He derive period (J, (J, S) / 2) = 61 years from Jupiter's and Saturn's movement. Milivoj.A.Vukcevic , , theoretician of Serbian origin dealing with solar, geomagnetic and climatic phenomena. He defined solar envelope functions of solar activity. The beats of these periods are approximately V1 = 120 years: ((J, S), 2J) = 122 years, Vukcevic states 118 years for the last centuries. (The asteroid Nessus moves with the same period in the solar system). In addition to this period, Vukcevic works with the period V2 = 288 years (287-290 years). Note that the periods of these functions correspond to twice the period, of E.W.Brown: Brown's 61-year period vs. Vukcevic's 122 years. The first function presents spacing of Jupiter-Saturn, the second Jupiter advance on doubled(!) elliptical orbit. The 61-year period can also be derived from long-term shifts of Jupiter-Saturn conjunctions, as they enter during the three-fold cycle (see Conjunctions). Vukcevic's functions allow to explain lengthening of cycles in transition periods - the theoretical course of activity is nearly constant here. From this perspective, for example, adding another maximum for the year 1796 is superfluous. For further context, see: Shape functions. Valentina Zharkova , , Ukrainian researcher in the field of solar physics acting as professor of mathematics and astronomy in England. Valentina Zharkova deduced - based on spectral magnetic analysis of the Sun field - two basic "principial" components. These components are very much like Vukcevic's functions. The difference between the two theories is in the prediction of the period of beats. Zharková points to a significant 350-400 year cycle (Z), which seems to be significantly different from Vukcevic's cycles. The Vukcevic cycles (V1, V2) offer a connection with motion of Uranus (U) Neptune (N) and cycle of Zharková (Z). Let us quantify the beats (U, V1) and (N, V2): (U, V1) = (84.01, 120) = 280 years (=V2), (N, V2) = (164.79, 288) = 385 years. So, approximately (U,V1) = V2 a (N,V2) = Z. A similar concept is outlined in consideration about Planet X with period of X = Z. (see Planet X). Here are considered cycles X = 387 years (375-390 years) (N, X) = 287 years (= V2) and (U, X) = 107 years (= 3 * Bruckner = 9 * J). With regard to the Vukcevic concept, there is the course (N, X) compared to V2 phase shifted. Note that for V1 = 118.6 years is (U,V1)= 288 years = V2. (10*J = 118.6 years, 6*(J,S) = 119.2 years). I would like to thank in particular to RNDr.Pavel Kalenda CSc. for valuable information and resources that helped me to orientate in the field of the influence of planets on solar activity.